I am a contemporary officiant with an open mind. I truly believe that you need to be who you are and be free to love who you want. Your wedding should set that tone. 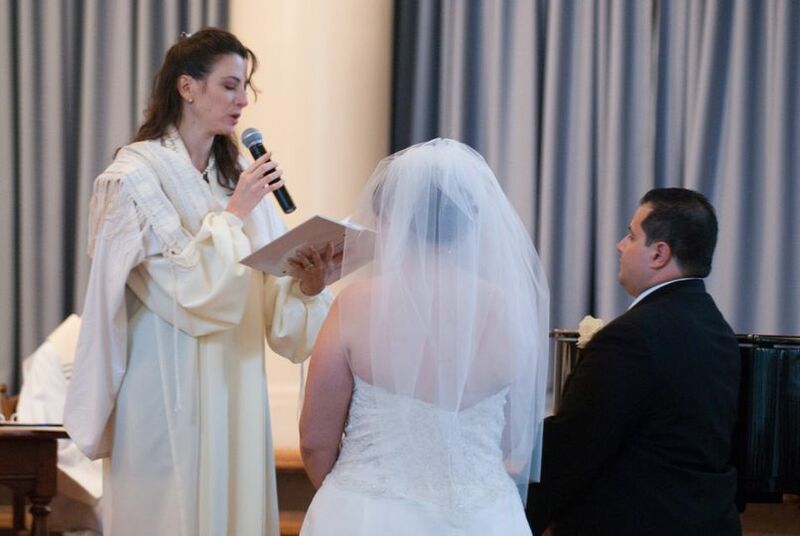 Ever since my own interfaith wedding (by a judge), I've become even more sympathetic to couples who want to design their own, personal, non-religious but meaningful ceremonies with a touch of tradition. 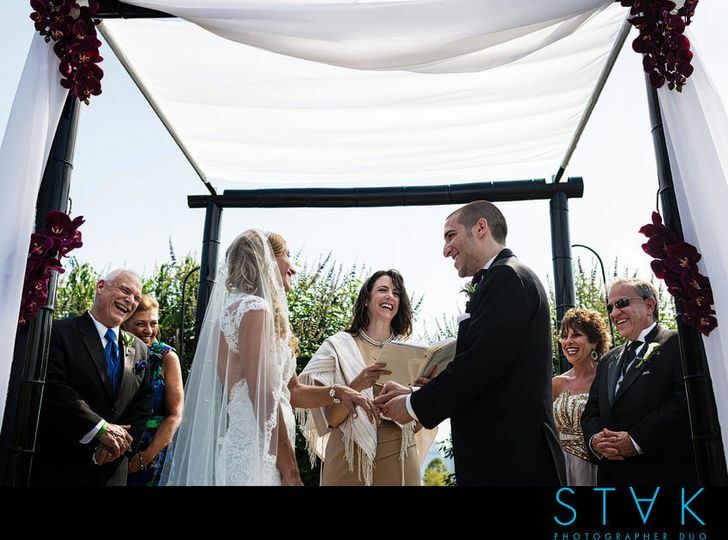 There is nothing more fulfilling to me than a delighted and relaxed bridal couple. Here's what I do: I respond ASAP to your inquiry about my services. 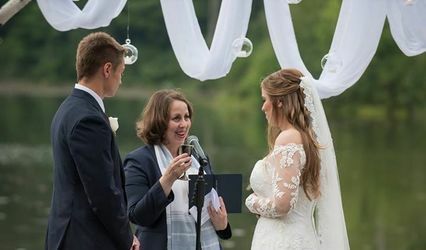 My pricing includes 2-3 one hour consultations, constant communication until your wedding day, crafting your ceremony, travel, performing your ceremony, and filing the requisite documents. The consultations/counseling sessions start with , "Why are you getting married?" . Then we talk through what you want (and DON'T WANT) to happen at your ceremony so that I can create exactly what you are hoping for! Once hired, my one time fee makes me available to you anytime you need me. I've traveled as close as my home base in Morristown, NJ to San Juan, Puerto Rico for a destination wedding (ok, that was a little extra!) I'll go anywhere. Also, I am adept at handing parents and kids involved in the process. I make sure that everyone involved feels validated, respected, and honored. That said, at the end of the day, the only two people that matter is YOU and your ceremony sets the tone for your long, happy marriage. 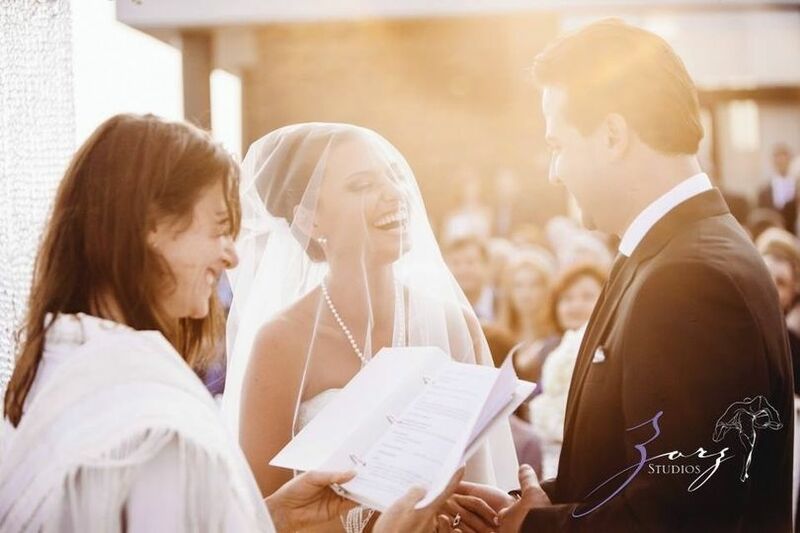 You should also know that our relationship continues throughout life's journey, so if you ever need an officiant for another life cycle event, I am here for you. The "Contact us" on the website is Under Construction, so please reach out to me directly through Wedding Wire or at BlessingsByBeth3@gmail.com. 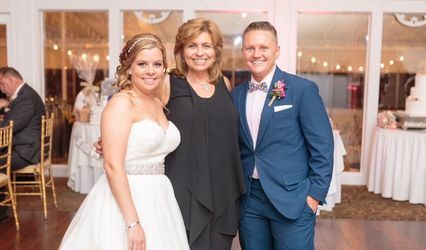 Where do I begin… Beth is so much more than just a wedding officiant- over the past year and a half of planning, Beth has become our mentor and friend. My husband and I found comfort in her words of wisdom, helpful advice, and wonderful sense of humor. 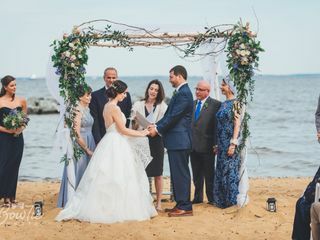 Beth did a phenomenal job of crafting our custom jewish ceremony, as well as making husband and his family (who are catholic) feel comfortable by educating them on meaning of certain customs. I may be biased, but our ceremony was perfection! She seamlessly integrated humor and warm/fuzzy feelings. Beth captivated our guests with her beautiful words and singing. Her kindheartedness and good nature radiates from within. My husband and I are forever grateful to Beth for creating and officiating such a beautiful, heartfelt ceremony that we will cherish forever. She truly is a blessing! We are so grateful to have been lucky enough to meet Beth, and that she agreed to come all the way to Annapolis to officiate our wedding. 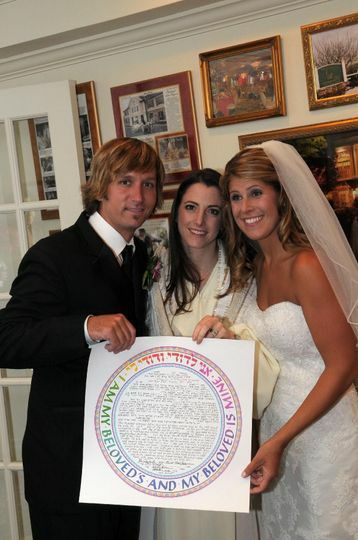 Beth is wonderful – she made a sincere effort to get to know us and truly personalize our ceremony. 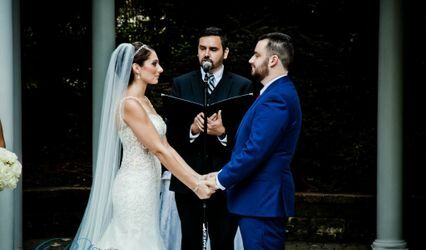 We love that she didn’t just ask us questions from a standardized list – everything flowed naturally, and it was so nice to have the opportunity to get to know the her as well instead of just spouting off facts about our relationship. Between meeting for brunch and taking barre classes together, we came to feel like Beth was family. My mom loved Beth even more when she told our guests to put their cell phones away so they could truly be present for our ceremony. As an interfaith family, we weren’t equally aware of what to expect. 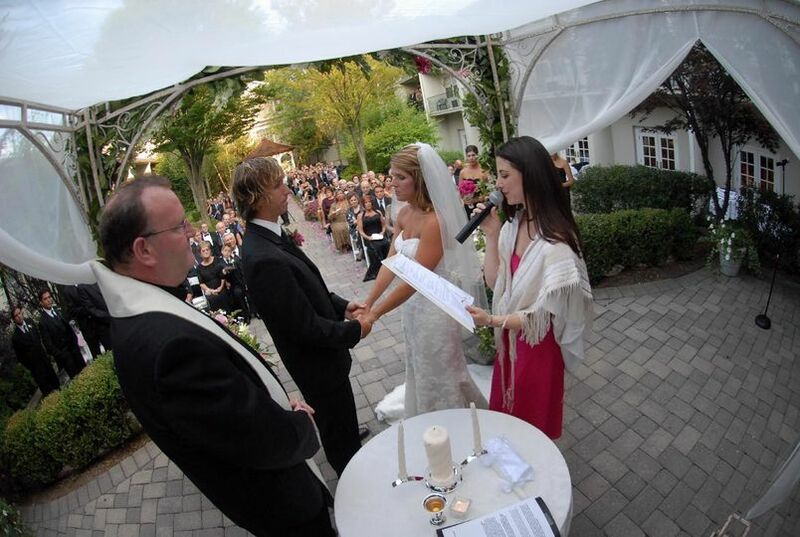 My husband’s side was very familiar with Jewish wedding traditions. My own parents had attended some Jewish weddings but didn’t have a great understanding of what everything meant. Beth made a conscious effort to sit down privately with my parents and sister to walk them through the ceremony, explain what everything meant, and answer the 5,000 questions my mom had. The extra effort she made to make everyone feel comfortable was so appreciated. I absolutely love how open Beth was to customizing everything to make it really fit with who we are and the relationship that my husband and I have built. 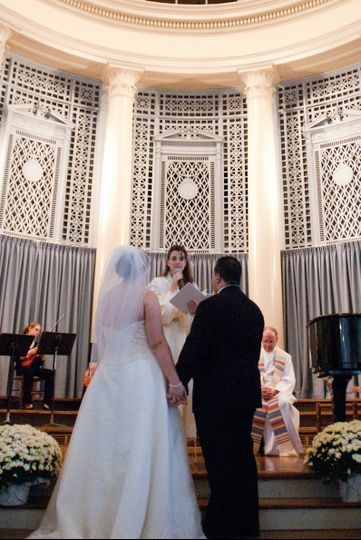 Our ceremony felt very modern, but still honored the Jewish faith. We were treated as equals and encouraged to push for what we felt was appropriate for our beliefs. 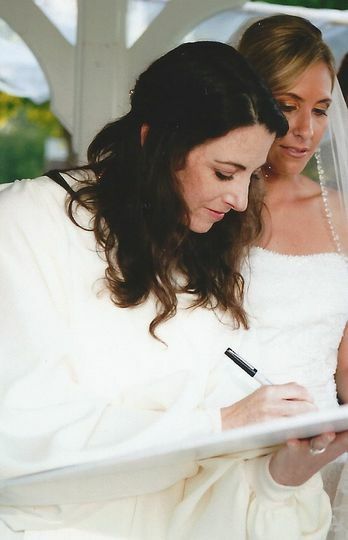 Blessings By Beth gave My Husband and I the Wedding Our Dreams. She makes it about both of you which on that day is so important. 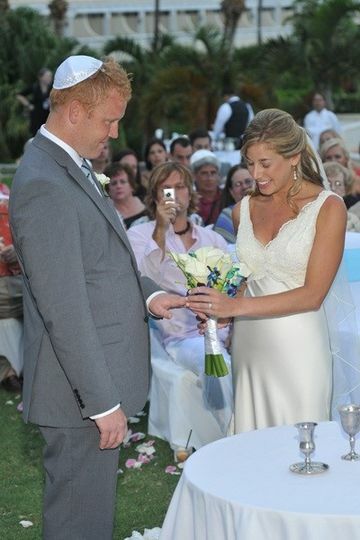 The Week Before Your Wedding Life Gets Very Stressful But Beth Was Always Their. A Person Like This is a Rare Find. 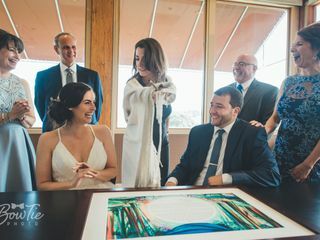 Beth creates a ceremony that is unique to the couple. You can tell that she gets to know her couples and believes in catering to the needs of them and their guests. You&apos;re going to be full of emotions, she will help you ground them, make you laugh, and give you memories for the rest of your life.